The language barrier is a big no-no for whatever endeavor you may have, especially if you’re a foreigner to another country like Finland, or vice versa when you’re a Finnish national being in another country other than Finland. Whichever your case may be, don’t worry because NordicTrans is always here to help you out. We have the best teams of native translators who can do Finnish to English translation services, or from and into any other language, at any time or anywhere and in any manner you want or need it to be. Here at NordicTrans, we only get and hire the best native translators to team up with our in-house proofreaders and project managers. This is in order to ensure quality and precision in our translated outputs, such as in Finnish to English translation. We always follow the standards monitored, updated, and imposed by organizations such as the International Standard Organisation (ISO). This is in order to further implement our commitment to excellence and quality assurance. At NordicTrans, we offer the lowest rates and the best prices from among the other translation service providers around. We have no hidden fees or unwanted charges for all our translation services rendered. Rushed translations and weekend projects are all given the same translation rates, with no additional fees. We always ensure that our services, including our Finnish to English translation services, are of the highest quality and accuracy, yet at truly affordable rates. As we continue to serve the world with our services for close to 18 years now, we have surely gained expertise in the translation business enough to serve our clients with the best services that they can get. When we started in 1999, we started small and yet we have grown into the largest operating Nordic translation agency in the world. We have now lived up to become one of the leading translation services companies in the whole world, translating from and into almost any language. We took advantage of technological advancements in order to serve our clients better and ensure the best quality of our services. That’s why we have designed and created our very own project management system, which is accessible 24/7 on our web site. This web based system features online quotes and word counter for any project to be translated, a 24/7 customer service care centre via live chats, online monitoring by our clients for on-going or previous projects, and more. Get your free, 5-minute quote now! We cater to almost all or any project area or field there is, regardless of the size and type of the project you may have that needs translation. We do translations for just about any field, including business, technical, medical, legal and anything else. We also provide certified translations for both UK and US. If you have any translation needs for any category or industry, please let us know and let’s get started. 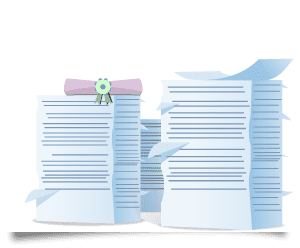 We can provide you with the best quality of translations at truly affordable rates no matter if you have a small document or an entire website to localize to a specific market. Contact us now and get your live quote and word count thru our website for free. You may also get in touch with us via the live chat support. Our services for Finnish translation to English and to any other language are just a few clicks away thru our 24/7 live action center. Try the NordicTrans translation services now and you’ll see the difference. Finnish is a growing language in the heart of the United Kingdom, London. It seems to be growing popular day by day and has grown into the air as a lingering essence used for elaborate conversations. The UK has been like a home to the people of Finland, and it has been shown through a survey that about 20,000 people from Finland paved their way to the UK and eventually embodied settlement. This is the reason why Finnish to English translation services are a demanding requirement in the UK. The Finnish businesses have flourished quite nicely over the years, and the need to translate the words of Finnish to the best meaning of the English language with proper grammar and vocabulary is something you will find quite expensive in the industry. But, at NordicTrans, we aim to please the customers rather than piling up their already burdening issues. To have a keen customer-company relationship, we have made it our responsibility to offer quality work to our clients with the help of our professional Finnish translators. 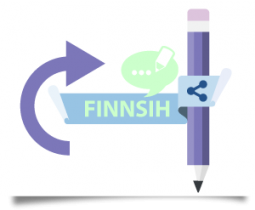 We offer accurate Finnish translation to English at the best possible rates, affordable for both individuals looking to immigrate and for companies wanting to expand their reach to the UK or at an international level. Why would you choose our services? We do Finnish to English translation with passion, just like anything else we do. Language is not important, because we have the resources to deal with any, the end result is what counts the most. With us, you can rest assured that we translate the meaning and tone of the message, not just the words. Your document, software, website or whatever else you may need to have translated needs to be localized to the specific market. It’s not just the language, cultural differences also count. This is yet another aspect of our multilingual solutions we never neglect as it is that little something which can lead to success of your translation. Despite Brexit and all the fuss around it, certified translation is needed more than ever in UK. US is also craving for it with so many immigrants trying to get their relationships with USCIS in good order. We feel for them and provide certified translation for any personal document for both UK and US at affordable rates. We can help you with that too. If you’ve only operated in your country until now and thinking to expand at a global scale, worry not. Our globalization and internationalization specialists are ready to help you stand out in the entire world. It’s not just translation that matters, its how you do it and plan everything. Getting accurate Finnish to English translation services shouldn’t be hard, nor expensive. Although in general other companies are charging high rates for the Nordic languages, we, as a Nordic translation company, don’t. 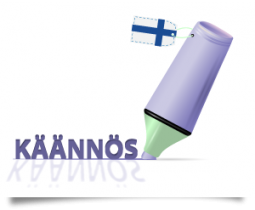 We are at the opposite site, providing highly accurate Finnish translation services at low rates.